Lot Size: 5662sq. 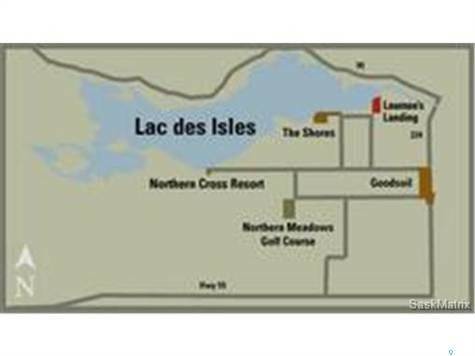 ft. n/a "Corner, Irregular"
Great affordable deeded RV lot in the Laumans Landing Subdivision on beautiful Lac des Isles in the Meadow Lake Provincial Park. This subdivision has a water treatment plant so you will enjoy the benefits of potable water as well as power and a septic holding tank ready for your use. Lot has a visitor area set up for second hook up for sewer and power. Also a shed for your extra items is included on the property.